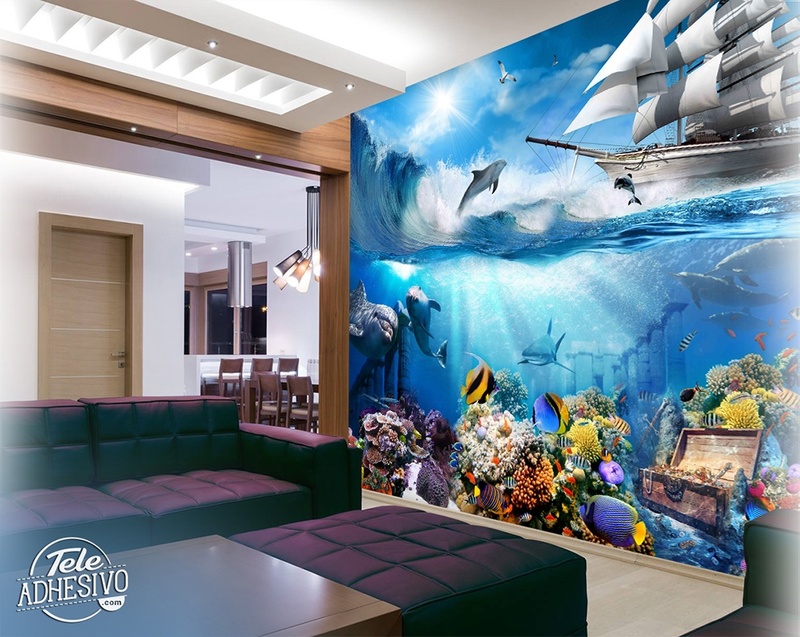 Wall mural dolphine marine background photo. In this mural appears a marine bottom with a Greek treasure and ruin. 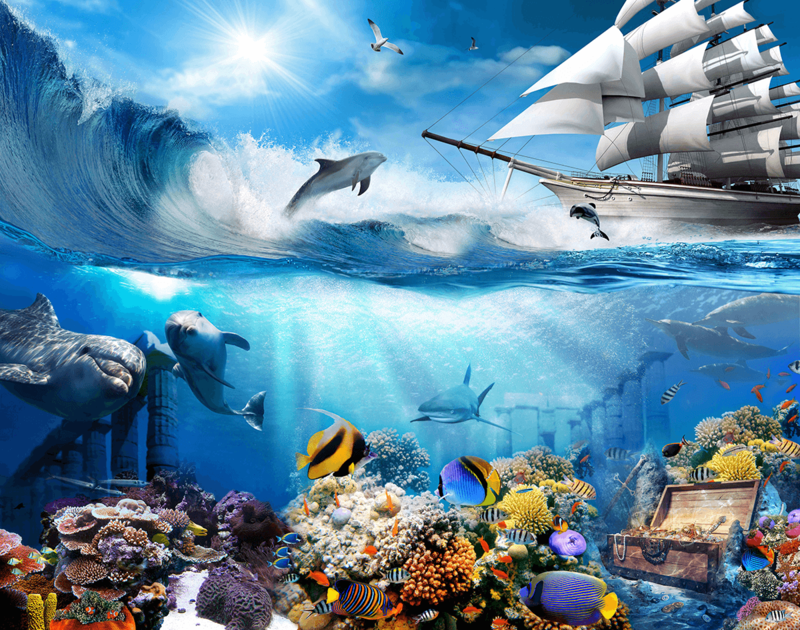 Dolphins, corals and goldfish predominate. On the surface a big ship breaking the waves. Ideal to place in bars, restaurants and in youth rooms.